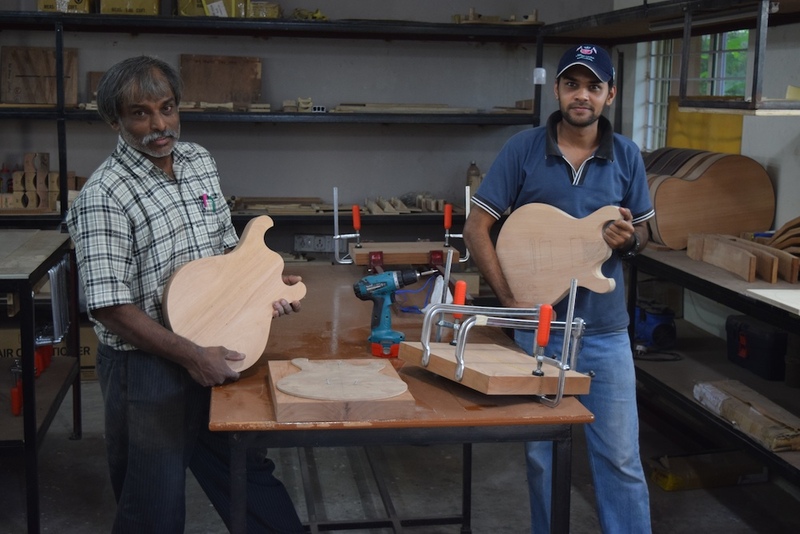 Hello dear friends of Astha Guitars! 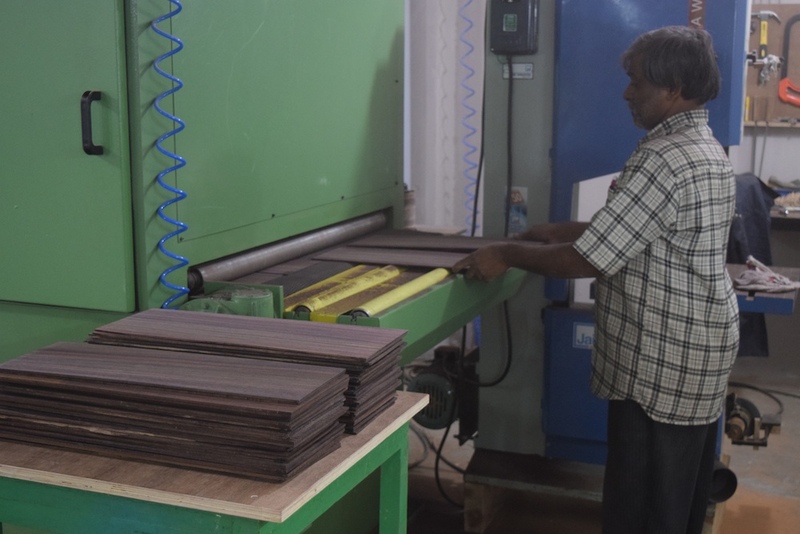 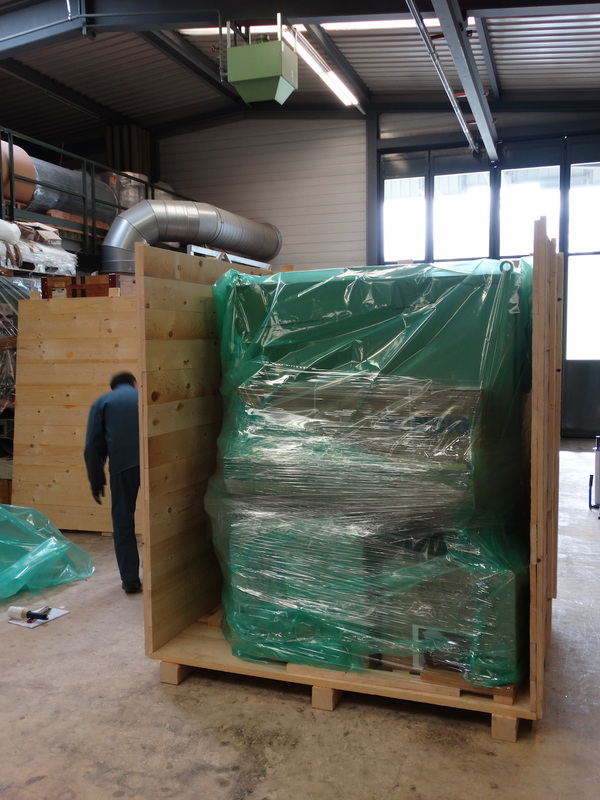 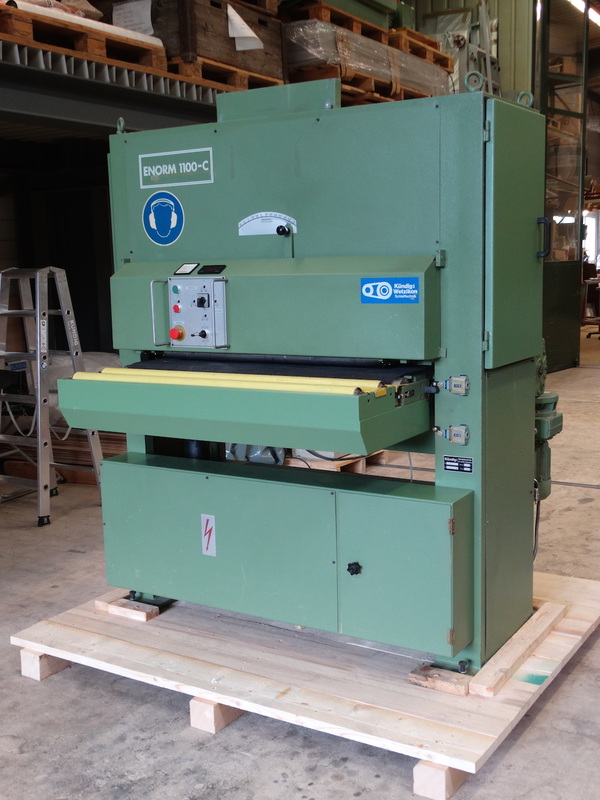 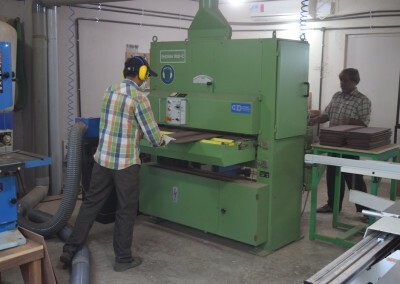 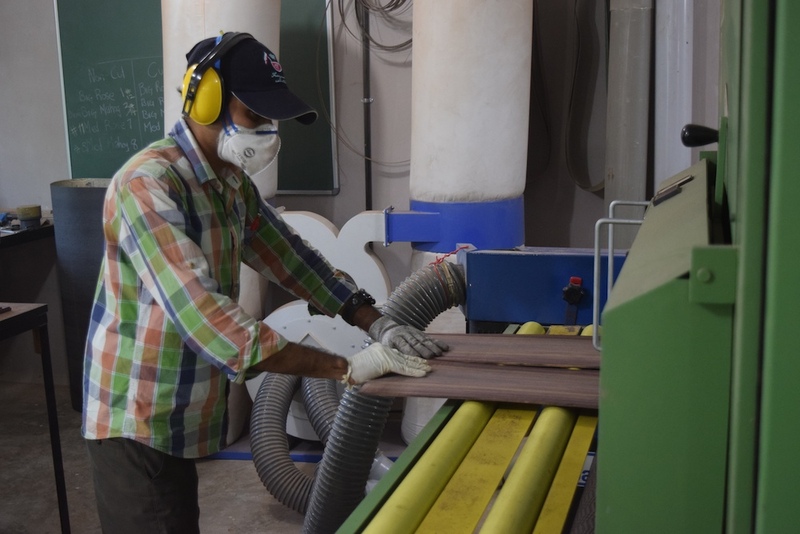 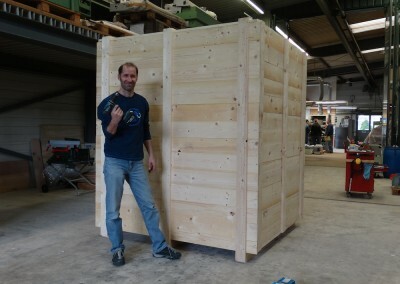 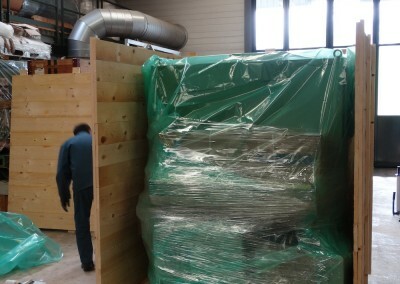 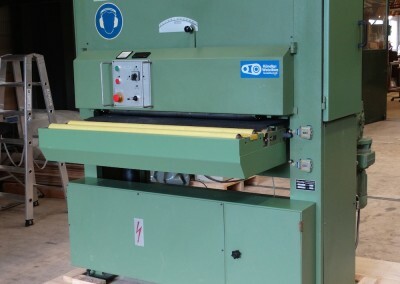 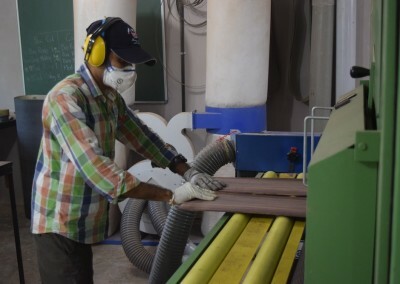 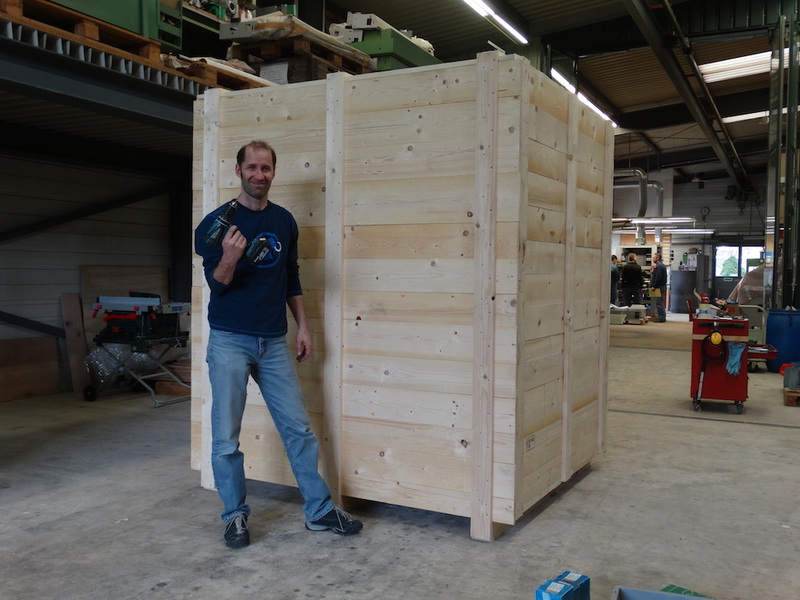 Last spring we were able to purchase a used and fully revised wide belt sanding machine, a true precision machine by the Swiss company Kuendig. 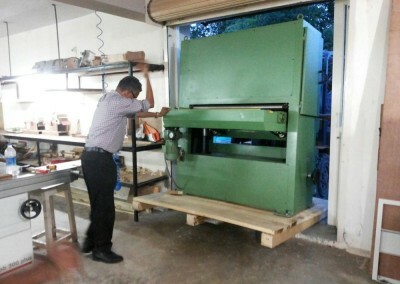 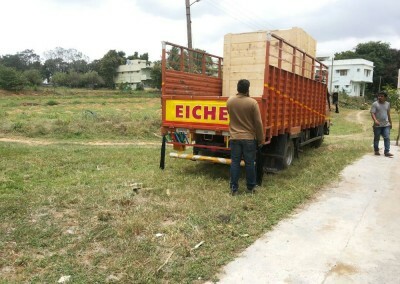 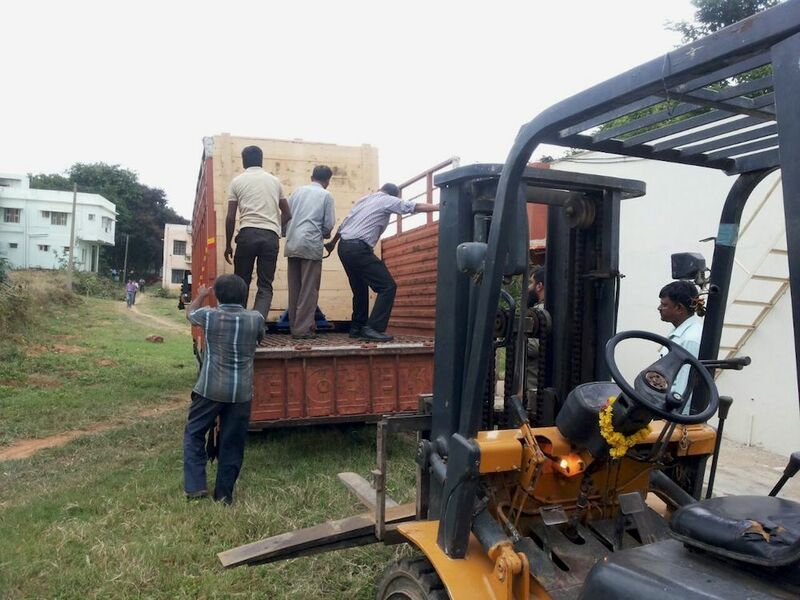 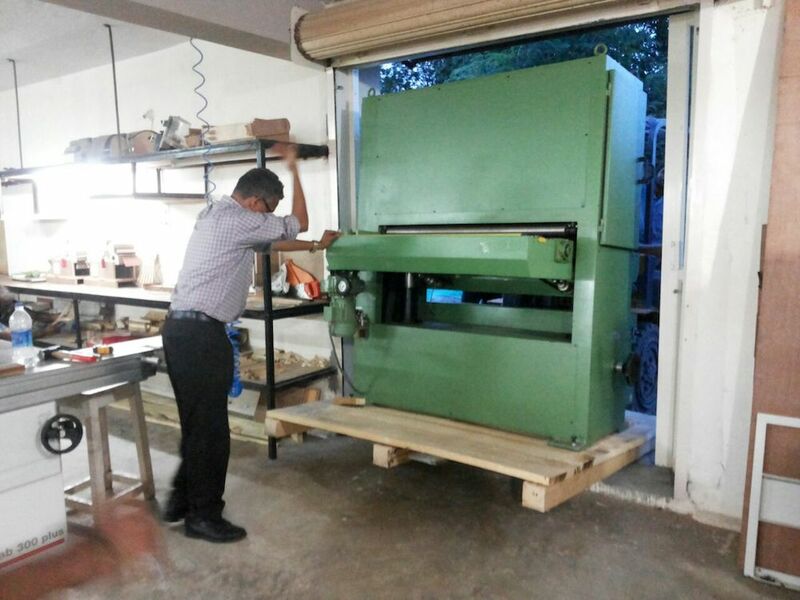 We thank God for the generosity of the Kuendig company to offer this machine to us for such a low price and we are even more thankful for a gracious Swiss sponsor who not only purchased the machine for us but also paid for the shipping to India! 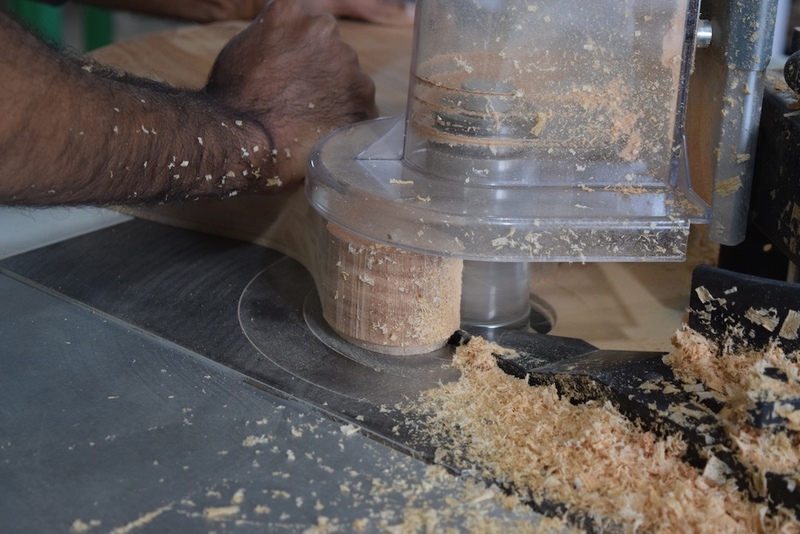 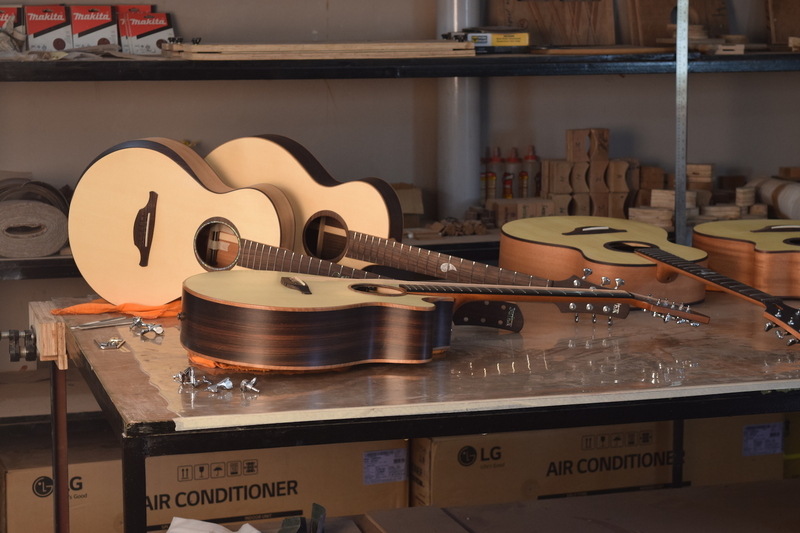 By the end of September we were finally able to run it for the first time in the workshop and we already pre sanded many nice Guitars sets! 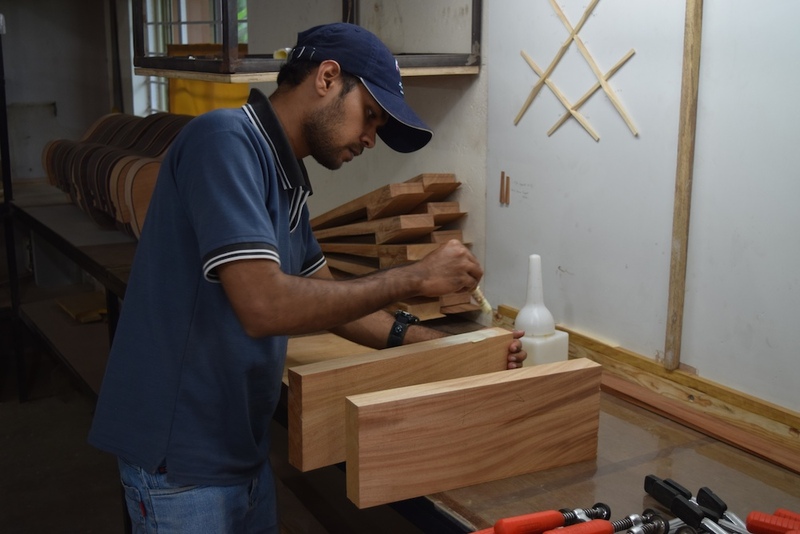 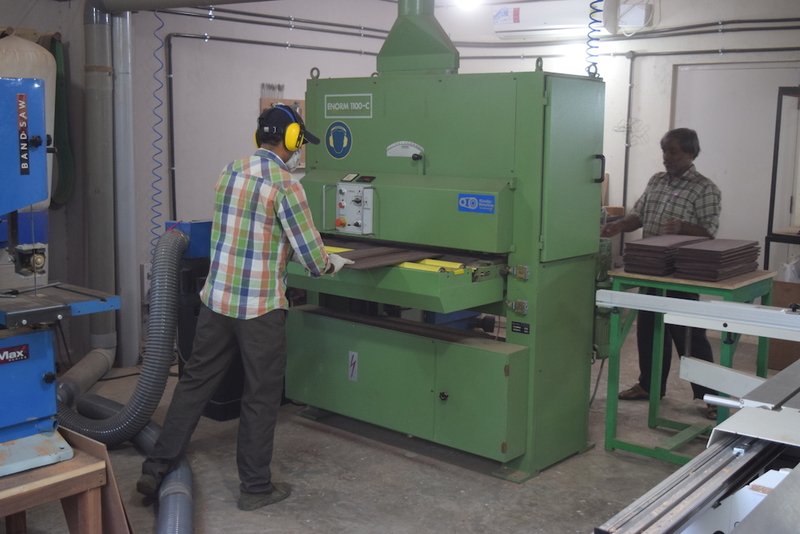 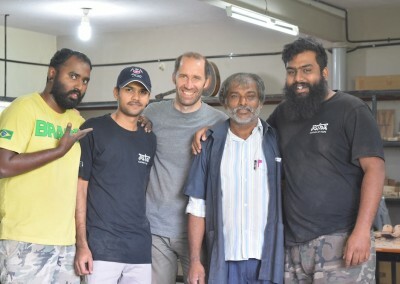 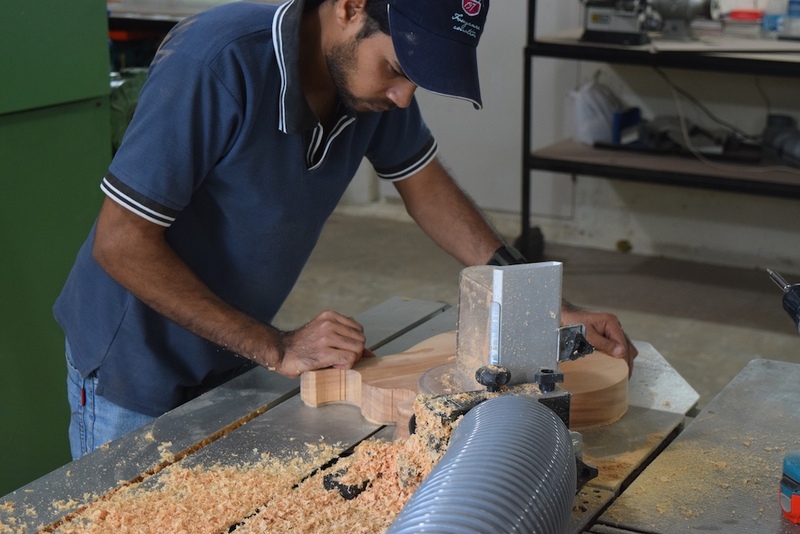 By the beginning of October Luke spent another two weeks with the guys in India for some further training for the finishing process. 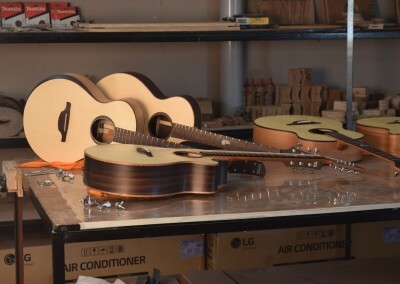 The team has been working on another batch of guitars during summer on their own supervised by Luke via Whatapp/Skype from back home in Switzerland 🙂 The guys did really well! 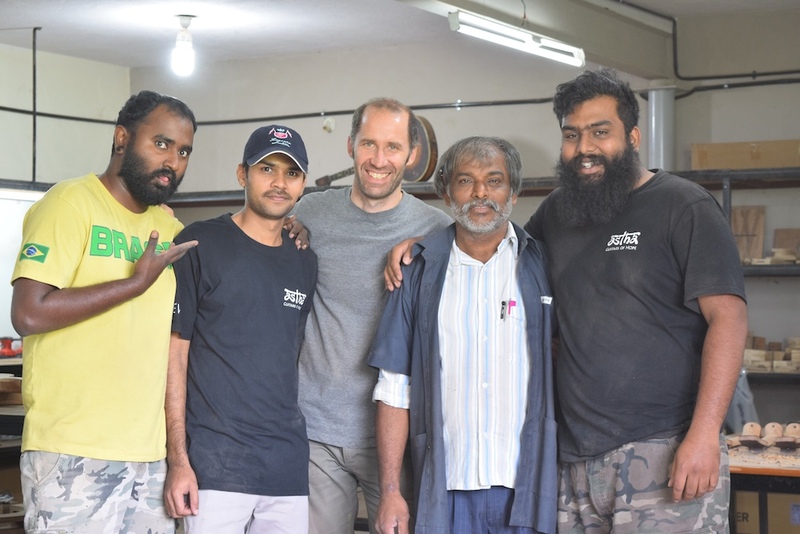 Unfortunately the CNC controller got busted over the summer probably due to some power fluctuation and so we couldn’t get as much done as planned while Luke was there. 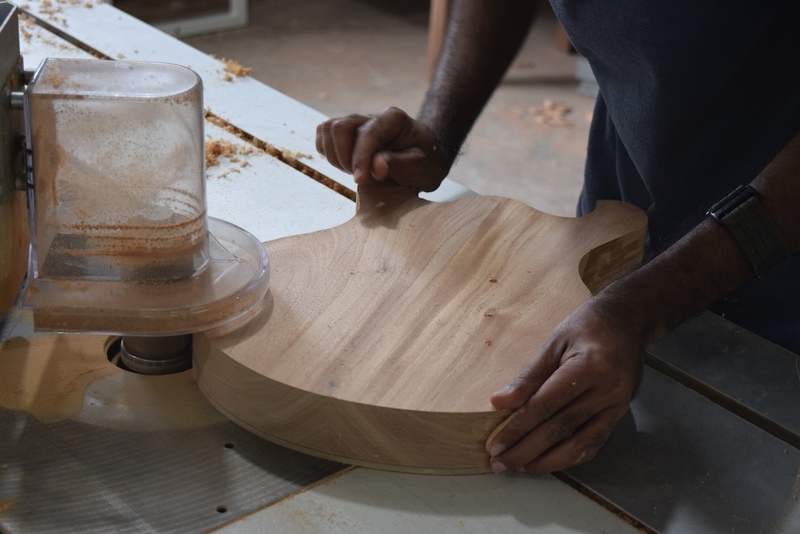 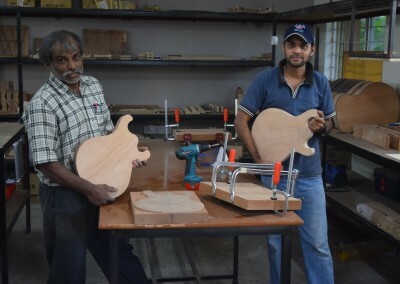 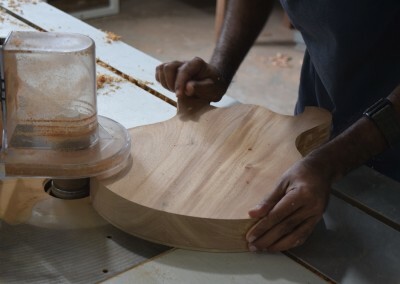 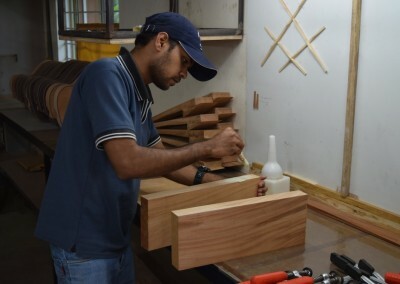 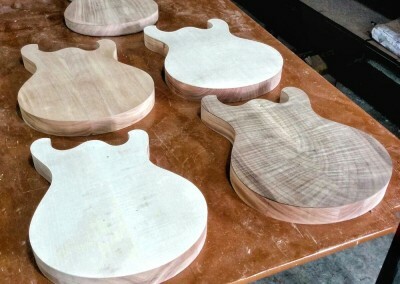 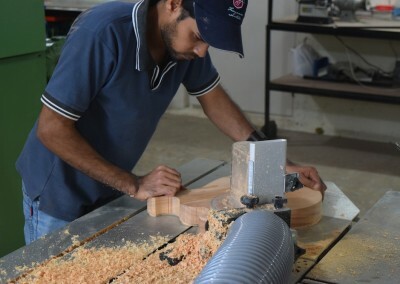 But this gave us the chance to start with the first prototypes for the Astha electric guitars earlier as expected! 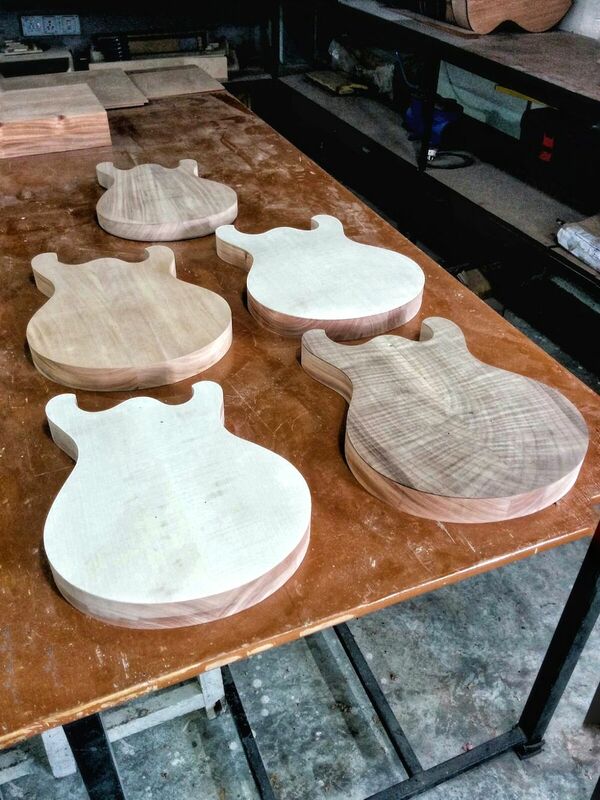 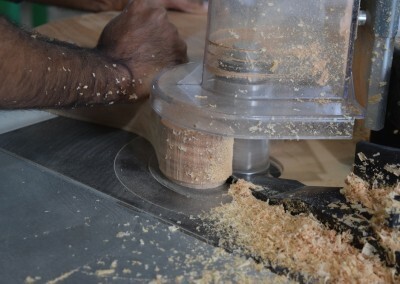 We’re quite excited about those new creations and we’re looking forward to show you the first finished ones soon!